A US House of Representatives hearing considering the possibility of federal-level regulation of sports betting in the United States that had been indefinitely delayed in June is now set to take place on September 27, 2018, in the House Rayburn Building in Washington D.C. The hearing, titled “Post-PASPA: An Examination of Sports Betting in America“, is set to begin at 10:00 a.m. that morning before the House’s Subcommittee on Crime, Terrorism, Homeland Security, and Investigations. Such a subcommittee on crime and terrorism might seem an unusual place for a hearing on sports betting, but it’s been arranged to be held there at the behest of that subcommittee’s chairman, Rep. Bob Goodlatte (R-VA). Rep. Goodlatte, as many Flushdraw readers will remember, is a staunch opponent of online gambling who was one of the Four Horsemen of the UIGEA (Unlawful Internet Gambling Enforcement Act) apocalypse back in 2006, assisting in having the UIGEA attached to an unrelated, “must pass” port security bill that was passed in a post-midnight vote in a late-2006 session with most Congressman never having had a chance to read the UIGEA’s text. If you think that a hearing on sports wagering chaired by anti-online gambling legislator under a “crime and terrorism” theme might just be skewed toward the negative, while featuring plenty of sensationalized fear-mongering, well, that’s the chalk. The hearing will convene with five so-called experts ready to testify, and two of the five are anti-gambling zealots who really have no business testifying before a Congressional subcommittee, except they have close ties to Goodlatte on these matters. The two weird anti-gambling wild cards are John Kindt and Jon Bruning. Bruning first: he’s the representative of Sheldon Adelson’s Coalition to Stop Internet Gambling (CSIG), not “Online Gambling” as it appears in the witness list. Rep. Goodlatte is among those who have received some of Adelson’s multi-million-dollar political-donation largesse in the past, and getting a CSIG spokesman into this hearing is just a quid pro quo. It was just this past May that Adelson dropped another $30 million into the GOP’s election coffers to be used in this fall’s election cycle, and Rep. Goodlatte is associated with both this anti-sports betting push and at least one other bill, an immigration-restriction measure tailored to Adelson’s preferences. That stuff aside, this hearing is essentially Goodlatte being a good foot soldier and earning his chunk of Adelson’s donations, trying to create a last-chance opportunity for Adelson to secure his pipe dream: a clamping down on at least the online-gambling portion of legalized sports betting. Online poker attracts big money. As recently demonstrated by American player Brian Hastings and his Swedish competitor half a world away, a single online poker game facilitated the international transfer of $5 million in mere hours. Accordingly, an established al-Qaida poker network could extract enough untraceable money from the United States in just a few days to fund several 9/11-sized attacks. Yeah. 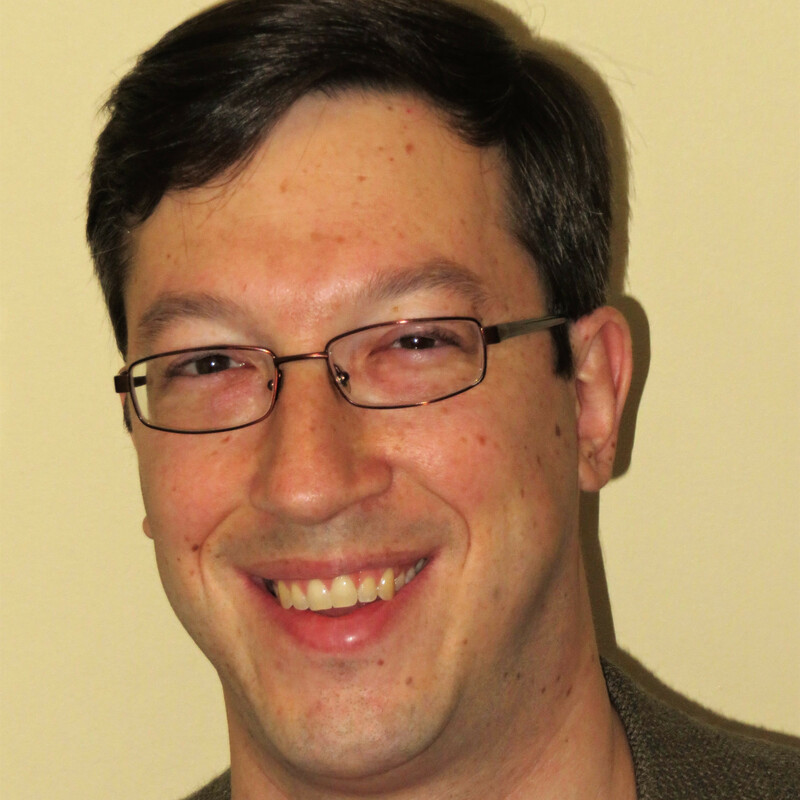 A few years back we had some fun with exposing James Thackston for what he really was, a charlatan trying to ratchet up fear to sell his version of some internet-poker security software (allegedly with the financial support of some long-time pro poker players). If you want to read about Thackston’s debacle — one / two / three / four / five / six / seven / eight — it’s a great digression. Thackston has disappeared almost without a trace from the gambling scene… not so surprising from this cynic’s view. Yet while Thackston was a phony from the get-go, Kindt is more of a true believer in gambling — any form of gambling — being the scourge of society as we know it. Kindt has enjoyed a close relationship with CSIG for years; the organization has linked to several of Kindt’s anti-gambling screeds in its own reference material. 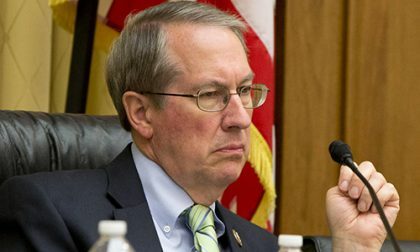 And both Kindt and CSIG appear to enjoy a special relation to Rep. Goodlatte as well, since both were also on the witnesses list the last time Goodlatte conducted one of these anti-online gambling dog-and-pony shows, a 2015 hearing trying to boost the chances of the “RAWA” legislation backed and funded by, you guessed it, Sheldon Adelson. Still, maybe there’s a little bit of the phony to Kindt as well. Virtually everything he’s written about the supposed national-security perils of online gambling trace back to an old (1999) study on online gambling that falsely concluded such gambling could never be regulated. That study’s conclusions were quickly debunked, yet Kindt has held onto those false conclusions and fear-mongering beliefs for nigh on 20 years. Surely there must be more to it, like perhaps this five-volume set of his suspect anti-gambling research that he’d like you to buy, for just $495 for the complete set. Damned expensive for birdcage lining, but what’s an entrepreneur going to do these days, right? And all of it, these outlandish terrorism and money-laundering claims, appear to amount to a cottage industry designed to pump up Kindt’s image, if not necessarily his net worth. And it’s all built up upon itself in a self-referencing castle of sticks years in the making. So don’t expect anything good to come out of this hearing. 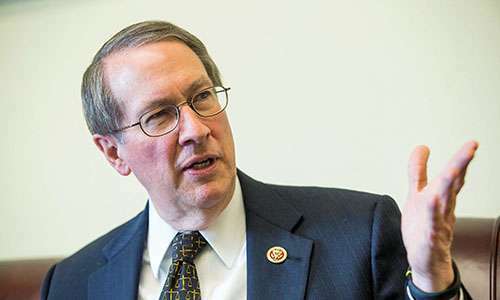 With Goodlatte at the chair and Kindt and the CSIG rep invited in to scare the uninformed masses, it should be the legislative low point of the year.